First sung by Kermit The Frog in 1979’s The Muppet Movie, “Rainbow Connection” has a legacy as vast as the colorful arch that inspired the lovable frog. Cincinnati’s Bad Veins recently recorded a cover of the song, and The A.V. Club is premiering the video below. 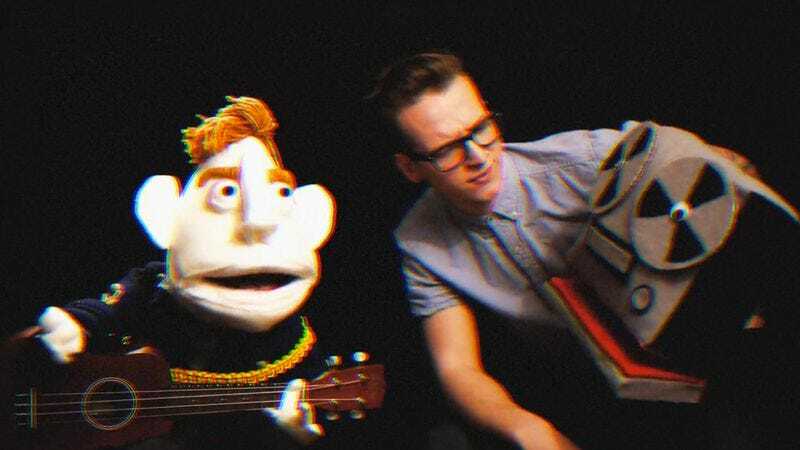 As the band offers a loving take on the source material, the video sees the members of Bad Veins transform into Muppet-like characters as they fly through the sky right beside a rainbow. Bad Veins’ “Rainbow Connection” cover can also be found on the band’s upcoming album, The Mess Remade, and though it won’t be out until March 17 it’s available for pre-order on iTunes now.